Home › Credit Cards › Apple Credit Card Review – Say Goodbye To Fees! The new Apple credit card is designed to work with iPhones, iPads, Macs and the Apple Watch via the Wallet application. A joint effort of MasterCard, Goldman Sachs and Apple, the card offers cash back on your purchases with no annual fees, cash advance fees or finance fees (if you pay your balance off monthly). It pays you between 1 → 3% cash back on what you spend. 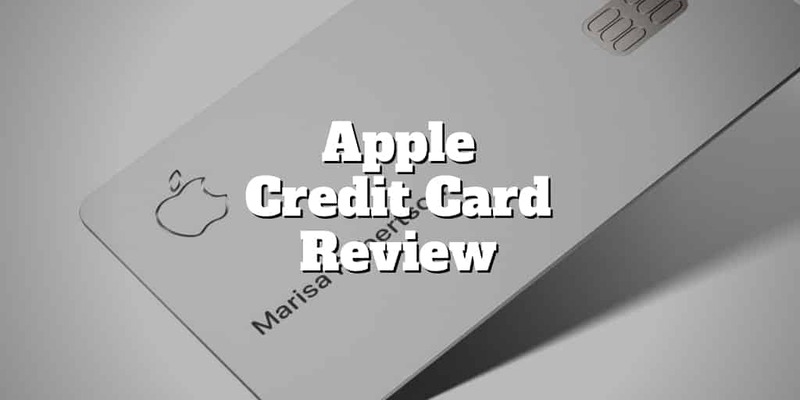 All these perks made us wonder whether there are any drawbacks to Apple’s new card, so we looked into the pros and cons to help you make an informed credit decision. How Much Is an Apple Card Point Worth? Why Choose The Apple Card? How Does the Apple Card Work? 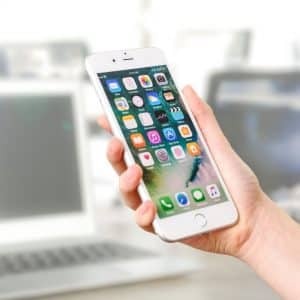 Apple calculates and allocates your cash back on a daily basis, so you won’t have to wait until your next billing period to begin reaping your rewards. As is standard with most credit cards, if you pay off your Apple Card each month, you won’t pay an interest finance charge. However, if you do run a balance, you will pay interest at a rate that ranges from 13.24 → 24.24%, depending on your contract with Apple. >> Related: What Is A Good APR Rate? When you use your no-touch titanium Apple Card, you are going incognito. The card is not marked with your account number, an expiration date or a CVV number. All this is stored within a proprietary security chip. Only your name appears on the card, elegantly etched by lasers. Each time you charge something, you will receive a unique transaction code that you verify with Face ID or Touch ID technology. No signature is ever required or stored in your account. You can use your Apple Card anywhere you might otherwise use a MasterCard. When you are ready to pay your bill, simply send it electronically via ACH from your bank or your Apple Pay Cash account. Every account has an associated account number. You can keep that same number as long as it works for you. However, whenever you think your card may be vulnerable to theft, just tap the app, and it will issue a new account number. You won’t have to wait two weeks for a new card. 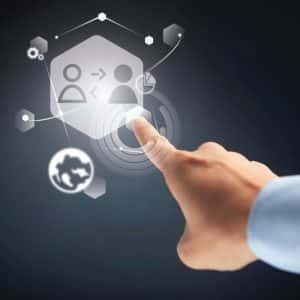 What’s more, many retailers use account updater technology to ensure your bills continue to get paid despite the change. If you are unsure about any of your charges on your credit card bill, you don’t have to call a customer service number and get placed on hold. Instead, just tap the charge on your iPhone screen to bring up a map. The map pinpoints where you made the transaction. The Apple Card features customer service by text, which is intended to get you the answers you need faster than an agent at a busy phone bank. With your iPhone in hand to use your credit card, a text will take only a few moments. Your Apple Card app sorts your purchases into various color-coded categories, making it easier for you to see how you spend your money at a glance. You also get quick access to spend summaries that feature colorful graphics, making it more fun to stick to your budget. If you are unable to pay your entire credit balance, Apple provides a tool that helps you strategize how much you should pay to optimize interest savings. You enter the amount you are able to pay, and the built-in calculator estimates the interest that will be due on your balance. The app can also offer some helpful tips on managing your Apple Card payments to save more. While other credit card companies make various offers of bonuses and fee reductions to attract new customers, Apple is counting on its brand to do that. 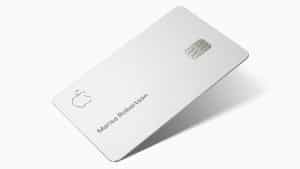 It wagers that dedicated Apple users will welcome a card that is fully integrated with the family of Apple devices and apps. >> Need A High Limit Credit Card? Unlike credit cards that offer rewards on your purchases in the form of points that you can use to get a limited menu of products, the Apple Card credits rewards in the form of cash back. These are deposited into your Apple Pay Cash account daily or your Apple Card account each billing cycle. Therefore, a $1 Apple purchase is worth 3 cents, and other $1 purchases are worth 2 cents or a penny if swiped. If you are a dedicated Apple user, the Apple Card could be the right card for you. According to the manufacturer, it is based on the same principles as the Apple brand: transparency, simplicity and privacy. Also, if you already are a whiz on your iPhone and have been using Apple Pay for a while, you can slip the Apple Card seamlessly into your Wallet for immediate use. 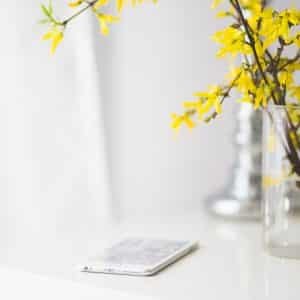 If you do everything on your mobile device, you will be a natural for adapting quickly and drama-free to the new Apple protocol. The company has worked with Goldman Sachs as the issuing bank and MasterCard to remove many of the risks of transacting virtually all of your business electronically. If the idea of a no-fee cash-back card with exceptional security is something you have been looking for, the Apple Card would fill the bill, especially if you are reasonably tech-savvy. If so, and you own an appropriate Apple device, this card would work for you. However, if you have not embraced the technology of the Apple universe and prefer to write checks to pay your monthly expenses, the Apple Card may not be very attractive. Other cards, such as the Chase Reserve card or Capital One Savor card may be more suitable. Also, if you do not own an iPhone, an iPad, an Apple Watch or a Mac, you would be facing a considerable learning curve to transition to the Apple Card. The Apple credit card works with Apple devices. The card itself is a laser-engraved titanium card the same size as a standard credit card. You can use it at the point of purchase, but you still need to have the app at the ready to confirm and complete your transaction. Your Wallet app holds the Apple Card. You can use the card straight from the Wallet or go through your Apple Pay account, which is also in the Wallet. The Wallet comes with your iOS, but Apple Pay is an extra account for which you must sign up. Although you can make the majority of your transactions with your iPhone or other Apple device, you can also use the physical card should you come across a merchant that doesn’t accept Apple Pay, which is currently only about 30% of U.S. retailers. Either way, when you make your purchase, the app sends you a dynamic security code that works only for that specific transaction. The second part of this security procedure is your biometric code, which consists of either face recognition or your fingerprint. Then, at the time of your purchase, the system issues your cash back. Other cards reel you in with special offers like no-interest balance transfers, sign-up rewards and 0% for six months. Their interest rates on revolving balances are on a par with the Apple Card. For instance, the Citi Double Cash Card charges comparable, if slightly higher, interest than Apple at a range of 15.74 → 25.74%. A couple of features that Apple offers that other credit cards cannot beat are the trustworthy Apple brand and the convenience of Apple Pay. Also, the iconic brand’s cash-back proposition is equal to or greater than those of its competitors. This includes the Chase Freedom Card, which only offers 1.5% cash back on all purchases. Also, you can use your Apple Card anywhere in the world without paying foreign transaction charges. Compared to the Barclay Visa with Apple Rewards, the Apple Card has some advantages, such as giving cash back that you can spend on anything versus points toward a limited number of products. One feature that Apple doesn’t provide but some of the other cards do is cash back on restaurant and entertainment purchases. ✅ Cutting Edge Security: Unique approach to security by not displaying a credit card number. ❌ Restaurant Purchases: Are exempt from cash back. ✅ Instant Cash Back: No need to wait one month to claim rewards. ❌ No Promotional Discounts: No incentives to sign up are on offer. ✅ Zero Transaction Fees: Domestic and foreign transaction fees do not apply. ❌ Limited Use: Apple Card can only be used with Apple technology. ✅ No Annual Fees: Pay $0 to hold the Apple card. ✅ No Finance Fees: You won’t be penalized as you would with other cards. Apple is renowned as a trendsetter that has played a major role in determining the direction that technology takes in the future. The Apple Card is no different with cutting-edge innovations and security that put it to the forefront of the credit revolution. When the rest of the world comes on board, you will already have your seat reserved if you adopt the Apple card early enough. On the other hand, because the Apple Card is a brand-new concept, you may want to wait until it iterates through a few generations to make sure that any bugs have been worked out. One of the reasons that Apple has maintained its reputation as a major innovator in the tech environment is its continual quest to improve its devices and apps to meet marketplace demands. Of course, only you can determine whether the Apple Card is right for the way you like to manage your credit. Backed by a trustworthy brand and designed to integrate effectively with existing Apple and Mac electronics, the Apple Card is likely here to stay, so you can take your time weighing the pros and cons before making a decision.